Football World Cup Quiz is about FIFA. 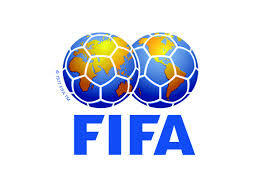 The FIFA stands for International Federation of Association Football. FIFA was created in 1904 and is responsible for the conducting or organisation of football World Cup tournaments. Football is widely played games all over the world. Especially European and Latin America love it more than any one else. Its world events are numerous. But FIFA world cup is famous of all. This Quiz for football Lover. Most of these question are related to FIFA World Cup. These Question and answer will give you quick statistics about football world Cup. This Quiz is for Football lovers. Lionel Messi has scored more than _____ career goals till 2015. Which country won the first world cup in 1930? Name of player, who received the first ever World Cup red card in 1974? ______ the only player to score a hat-trick in 1966 FIFA World Cup Final ? Football club who won the Most League titles (32 times) till 2015. Choose the three countries who have hosted the world cup twice? The oldest goalscorer in World Cup history? ________ was runner-up in both the 1974 and 1978 football world-cup finals. Which Country have the most football world cup titles? Which country have reached or played the most 8 world-cup finals ? Which country was the 3 times runner-up in world-cup finals but never won the world-cup. Choose the two countries who are the winner of only played world-cup final. Which country score the 5 (most-ever) goals in world cup final in 1958? which country was the winner of world-cup 2010? Miroslav KLOSE from Germany played the most FIFA world-cup matches, he played total ___ world-cup matches. _______ is the only player who have scored 5 goals in a single match of FIFA World Cup history. Who has score a hat-trick in a World Cup Final 1996? Who was the youngest player to score a hat-trick at the age of 17 years in FIFA World Cup. Who has scored the most Goals in FIFA Tournaments? Most Goals were scored in a single qualifying match for the 2002 FIFA World Cup between Australian and American Samoa. What was the final Score? The fastest goal was scored by Turkey after only ______ seconds in a FIFA.